Victory Records recently released three new albums by some of the best bands in the modern metal era. Taproot, Emmure and God Forbid are all riding a successful, creative high and their new albums are a testament to their constant evolving. 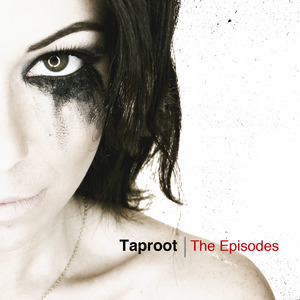 First up is Taproot with their new album “The Episodes.” The album cracked the top 200 Billboard Album chart upon its release and the album’s first single, “No Surrender” is a Top 40 hit on the U.S. Mainstream charts. The song is a gut-wrenching rocker that uses some voice modifications along with blazing guitars and pounding drumbeat to create the perfect introduction to the album. Other songs on the album like “Good Morning,” “Lost Boy” and “A Golden Grey” carry a hard rock edge that makes Taproot stand out in the metal community. Taproot is beginning their tour on May 18 in Chicago. They will be making a stop along the east coast with a show at the Webster Theatre in Hartford, CT on June 1. For a complete list of live shows, as well as song samples and videos please check out taprootmusic.com. 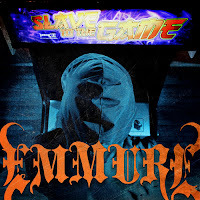 Newly re-signed metal artists Emmure just released their fifth album on Victory Records entitled “Slave To The Game.” The album debuted at #58 on the Billboard album charts upon its release in April and is the first album to feature new drummer Mark Castillo. The 12-song, 32-minute album is an attack on the senses with its neck breaking speed drumming and aggressive vocals. Songs like “She Gave Her Heart To Deadpool,” “Poltergeist” and many other of the songs refer to Marvel comic books, while “Protoman” is a reference to a character in the Mega Man video game. The album’s two singles “Proto Man” and “I Am Onslaught” bring out the best this album has to offer with hard, loud vocals and buzzsaw guitars. Emmure will be performing at The Bamboozle Festival on May 19 before heading over to play in Europe for the summer. Go to the band’s myspace page (http://www.myspace.com/emmure) for a complete list of tour dates and for more information on the new album. 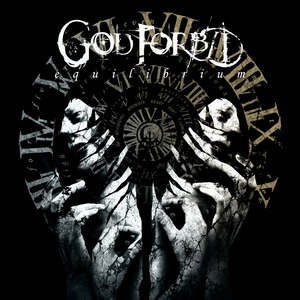 Heavy metal band, God Forbid is the newest members to Victory Records, but they have been around over 15 years. Their new album “Equilibrium” was released at the end of March and shows how the band has grown and matured with their song-writing and performing. The album begins with the attack of “Don’t Tell Me What To Dream,” but quickly turn to a more progressive metal approach on “My Rebirth” and “Equilibrium.” The guitar solo in “Overcome” and the drumming power in “Cornered” are just a couple of the examples of how talented these musicians are. The album closes with the first single, “Where We Come From.” While it may not be the best song on the album, it certainly displays the great musicianship and aggressiveness of the new album. God Forbid is currently touring the U.S. with Five Finger Death Punch and Killswitch Engage in support of the new album. They will perform at the Oakdale Theater in Wallingford, CT on August 15. 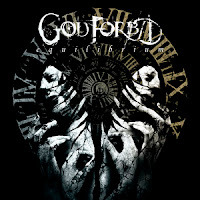 For more information, check out God Forbid’s artist page (http://www.victoryrecords.com/godforbid) on the Victory records website.